Welcome to Timber & Battery, your source for information on all working with wood and batteries. We cover everything from processing firewood to pruning trees, and from sanding a deck to staining a cabinet. Whether you need to clear a lot, frame a door, or find the right cordless tools – we have you covered. Timber & Battery offers general information on a variety of tools, batteries, and portable devices, so that you understand the benefits and shortcomings of each one. And we provide detailed timber and wood tool product reviews to help you make an informed decision when you are ready to purchase. The act of cutting timber may initially sound simple, but as anyone who has ever tried this task will know, it’s far more complicated than it initially looks. Thankfully, years of innovation have brought forth a range of tools that can simplify the job immensely, and knowing which you need to use for the job at hand is essential in order to achieve the best possible results. The start of any wood project begins with a tree being cut down. 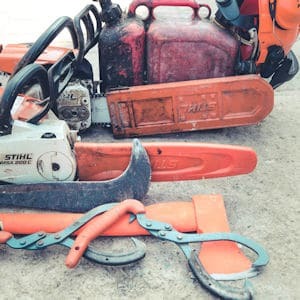 Chainsaws (both gas and battery powered chainsaws) and axes are perfect for this purpose, though the work of cutting branches is best left to hedge trimmers, pole saws, and limbers. From there, the raw timber needs to be reduced to a more manageable size that is suitable for the intended finished project. There are a variety of tools that are suitable for this purpose; wood splitters are particularly adept at helping to reduce the overall size, while wood chippers can be used to discard any timber not required for the finished item. When the timber has been sufficiently reduced, chop saws, mitre saws, and circular saws can all be used to help carve out the eventual shape of the finished piece – shaping for furniture, panels, floorboards, or whatever is required. Further refinement can be achieved depending on the finished purpose; for example, thickness planers can create uniformity if creating floorboards, and wood lathes are essentially for any projects that will produce a symmetrical object. The timber should, by this stage, be beginning to resemble its intended usage. By the time all of the above tools have done their work, all that’s left is the finishing touches. Scroll saws, jigsaws, and band saws can all be used to refine the finished look, allowing for shapes and patterns to be etched into the timber in order to boost the aesthetic appeal. Overall, there are dozens of different timber tools that can help transform raw wood into a useful, beautiful finished object that will last for many years to come. While it’s human nature to cut corners, it’s also part of our character to want to do a job well. 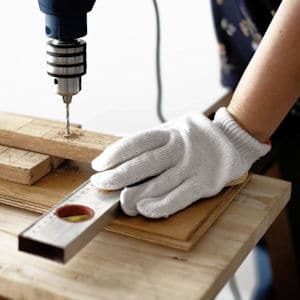 So, even though there are power tools like cordless angle grinders and drills available, you’re itching to get hold of the right hand tools. With them in your toolbox, you’ll be able to cut and shape and mould wood to the perfect dimension and fit. But, it’s tough to figure out where to start because they are so many of them on the market. As a beginner, you need inspiration. Well, saws are always fantastic places to begin. Whether it’s a rip saw, hacksaw, cordless jigsaw, or a coping saw, it should be able to get through the toughest of timbers. For example, teak and oak are two dense, durable materials. A mitre box is an excellent tool to help make precise cuts in the wood and give them the final finishes. Drills don’t have to be powered to be handy tools; although some of them are and still qualify. The cordless drill is the best illustration. However, a hand drill can secure screws and bolts and tighten fasteners. Anything cylindrical goes hand in hand with a lathe. The base holds it firm while the top end rotates a drill bit around and cuts out the piece of wood that you want, shaping it during the process. Doorknobs are usually cut and shaped by lathes out of chunks of timber. Of course, there are basic and effective ones such as axes, hammers and sandpaper. Sometimes, you need brute force with a subtle touch to get the right shine. DIY is a hobby which the majority of us find thrilling. There is nothing like making something from nothing. The sense of achievement at the end, when you get to gauge your work, is incredible. But, it isn’t to say working with wood or metal or any other material is straightforward. Not only is it dangerous, but it’s hands-on and fiddly in lots of circumstances. Since it’s human nature to find a shortcut, it shouldn’t come as a surprise that there are dozens of them in the form of power tools. Drills are the most popular in any DIY, and non-DIY, households. Thanks to a cordless battery, there aren’t the same restrictions on cutting wood to length or drilling out holes and inserting nails and screws. Add battery chargers to the mix and there is nothing a DIYer can’t do. But, it isn’t only the world of DIY where batteries come in to play. Tool batteries (like those in cordless leaf blowers) are useful, yet there’s nothing as annoying as a faulty watch or a broken down car. With a watch or vehicle cell, they are back and up and running once again. And, it’s not as if they are specific to their trade. 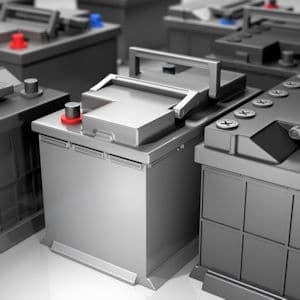 Watch batteries are used in appliances from weighing scales to fire alarms. Vehicle batteries are also critical to daily travel. Yep, that is how important they are in everyday life, which is why you want the best car battery charger when your vehicle power plant goes flat. Of course, they are pointless if they don’t have enough charge to perform their task. So, battery chargers (and maybe a good diesel generator) are probably the most important piece of kit a DIYer or a homeowner can have in their toolkit. There are a number of different ways that batteries can contribute to your life. And at Timber & Battery we are passionate about them all.